The CyberAir 3PRO ASR is the result of consistent further development of our thoroughly successful CyberAir 3 series. To reach maximum cooling performance with minimum floor space and maximum potential savings, we have developed the CyberAir 3PRO ASR series with underfloor fan section. Due to our long-term experience with worldwide projects we can present a product that offers even more flexibility and efficiency. CyberAir 3 ASR air conditioning units in the standard door size are available as optimized energy and optimized output versions. The six sizes range from 950 to 3,110 mm in width. The new ASR series comprises a heat exchanger and fan module. Installing the fan module in the raised floor reduces pressure drops and improves energy efficiency. This series is available for A, AS, GE and GES systems. "The new units of the CyberAir 3PRO DX series combine maximum reliability and unbeatable efficiency in an unique way. Who relies on it can only gain." 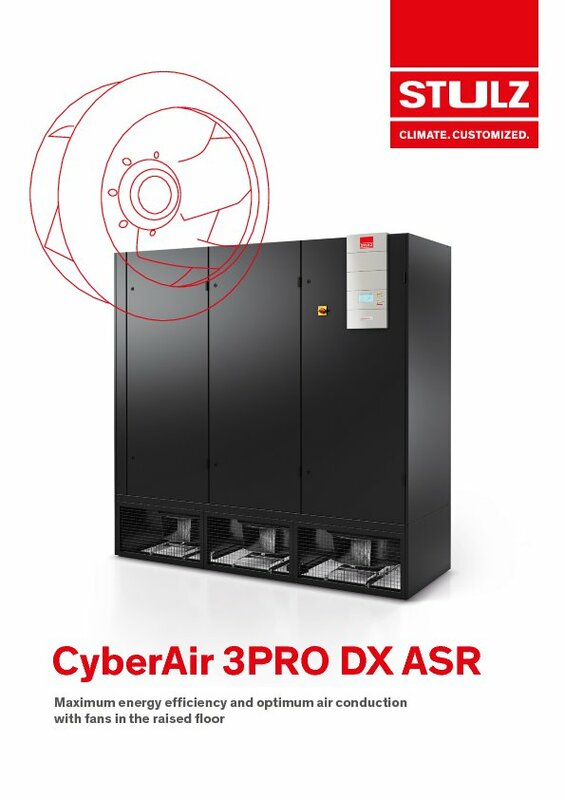 The CyberAir 3PRO DX precision air conditioning system with Direct Free Cooling air conditions Data Centers up to 90 % more economically than conventional compressor cooling systems. Our dynamic control allows an adaptation to important IT requirements such as the precise and effective adjustment of the air-side temperature difference (Delta-T) of cooling units to the Delta-T of the server racks. Blog article "Delta-T - air-side temperature difference"
The CyberAir 3PRO DX ASR is available as highly efficient version with underfloor fan section. Interested in this product? Click here to request a quotation.